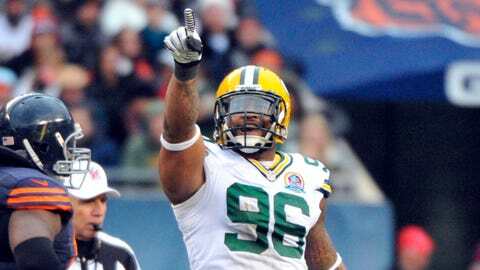 In his first year playing outside linebacker after transitioning from defensive end, free agent Mike Neal showed good pass-rushing skills and may be back in Green Bay next season. GREEN BAY, Wis. — Rarely have the Green Bay Packers been a player in free agency since Ted Thompson took over as general manager in 2005. Seven offseasons have come and gone since the Packers signed Charles Woodson and Ryan Pickett in 2006. Since then, the moves made by Thompson and his front-office staff to add players from other teams have not been headline-worthy. While recent history indicates that it’s unlikely for Green Bay to make a splash when free agency opens Tuesday at 3 p.m. CT, there are logical reasons why this year could be different. 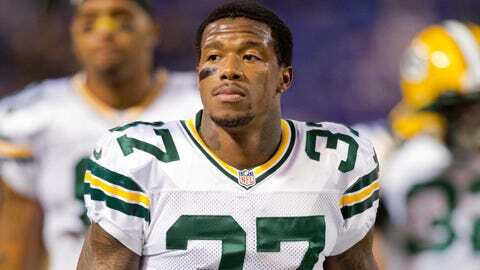 Even after re-signing cornerback Sam Shields to a four-year, $39 million contract, the Packers are still around $27.5 million under the salary cap for the 2014 season. With quarterback Aaron Rodgers and outside linebacker Clay Matthews locked into long-term deals, Thompson doesn’t have to worry about saving money for the team’s two best players. Green Bay does have to look ahead to 2015, though, when wide receivers Randall Cobb and Jordy Nelson would be free agents if their contracts are not extended beforehand. But with multiple holes to fill on defense, doing so effectively only through the draft is not realistic. This list examines which defensive players the Packers could re-sign, which are likely to sign elsewhere and which free agents (yes, dare to dream, Packers fans) Green Bay could explore in free agency. An offensive free-agency preview will be posted Tuesday. Safety Jairus Byrd — He’s the free agent player most frequently mentioned by Packers fans. Byrd plays the position that Green Bay needs most (safety), still has high-quality years left at age 27, is a three-time All-Pro and Pro Bowl selection, and he even lived in Green Bay for a while in high school. Unfortunately for the Packers, the price tag on Byrd is going to be very large. Safety T.J. Ward — Ward doesn’t have quite the resume that Byrd has, but he was named to his first Pro Bowl this past season and was also a second-team All-Pro. Ward is two months younger than Byrd. Playing his entire career so far for the Cleveland Browns, he has five total interceptions, five forced fumbles and 3.5 sacks. Defensive lineman LaMarr Houston — A 2010 second-round pick who’s played four seasons with the Oakland Raiders (totaling 16 sacks and four forced fumbles), Houston turns 27 this offseason. He’s a better run-stopper than pass-rusher, with more tackles for loss in 2013 (six) than any Packers defensive lineman. Defensive lineman Arthur Jones — A year older than Houston, but Jones is similar in that he also is a more accomplished run-stopper than pass-rusher. This past season, Jones recorded four sacks and five tackles for loss for the Baltimore Ravens.